Continuing Education training that is relevant, exciting and long-lasting? Something that gives you a skill you will actually use every day? Something that can transform your life and provide you with much needed self-care? Reiki Training for Stress Reduction is now availableas a CE course for nurses in Mississippi! Anyone can learn to do Reiki! 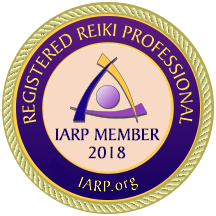 Reiki Mississippi offers certified classes in all levels of Reiki from beginner Level One through Master Practitioner/Teacher. If you are interested in training for yourself or your loved ones, please click here!